Lenovo unveiled its “halo” products one day prior to the official CES begins. 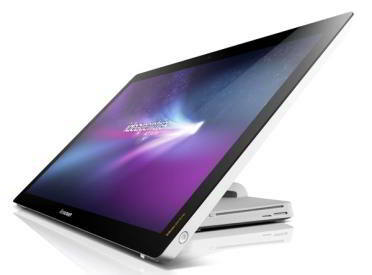 The #2 PC manufacturer in the world showed a sneak peek of two of its “most innovative products”, the Lenovo IdeaPad YOGA and what it claims to be the slimmest 27-inch all-in-one (AIO) PC in the industry, the Lenovo IdeaCentre A720. These two products, apart from smartphones and ultrabooks, are going to be Lenovo’s unique offering to the end user some time later this year. 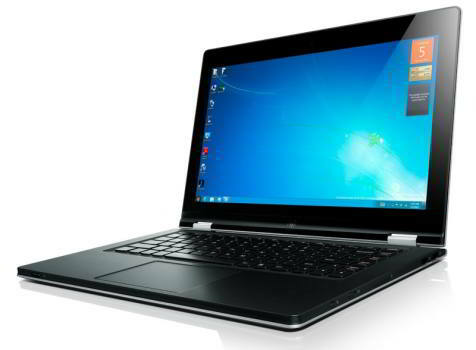 The IdeaPad YOGA is the union of a stylish, powerful ultrabook and a portable 13.3 inch multi-touch tablet. YOGA’s patented dual-hinge design is engineered to enable content consumption and creation spanning four intuitive usage positions -- notebook, tablet, stand, and tent -- in one computer, while offering higher durability and stability than conventional convertible form factors, Lenovo claimed. 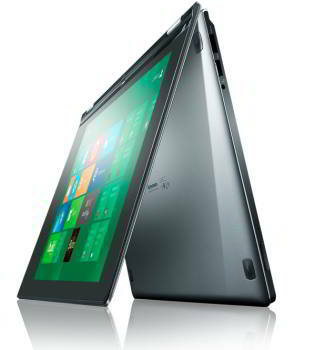 Lenovo claimed that the IdeaPad YOGA is the industry’s thinnest convertible ultrabook measuring 0.67 inch (16.9mm) thin and weighing a mere 1.47kg. Powered by the Intel Core Processor family with a Windows 8 operating system, YOGA supports eight hours of battery life with up to 8GB RAM and 256GB SSD. “The IdeaPad YOGA multi-mode notebook redefines the convergence and convertible user experience by bringing together the best of traditional PCs, with the best of tablets and more,” said Yang Yuanqing, Chairman and CEO, Lenovo. 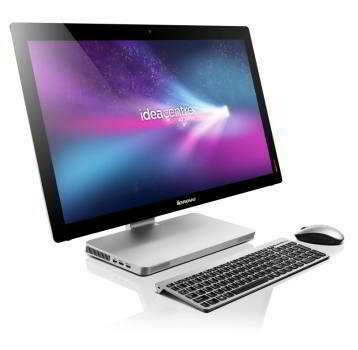 The IdeaCentre A720 measures less than an inch (24.5mm)2 and combines a frameless display supporting 10-point multi-touch. The A720’s widely adjustable hinge allows the screen to be pulled towards the user at an angle of -5o and folded back to an angle of up to 90 degree, making touch applications more comfortable over longer periods in any position. To optimize the touch experience on the AIO, the A720’s 10-point multi-touch display supports multi-user scenarios with greater accuracy. Lenovo demonstrated this by playing a game of air hockey on the A720’s horizontal screen with two players playing in tandem. Powered by the Intel Core Processor family and NVIDIA GeForce graphics with up to 1TB HDD and 64 GB SSD storage, the A720 is geared towards home multimedia experience on a high definition 16:9 wide-screen. With integrated entertainment features, such as room-shaking Dolby Home Theatre V4 audio, Lenovo High-Sense (720p HD) Webcam, and Lenovo IdeaTouch (a suite of touch-optimized applications and games), the A720 is an ultra stylish and fun addition for the modern home entertainment center. 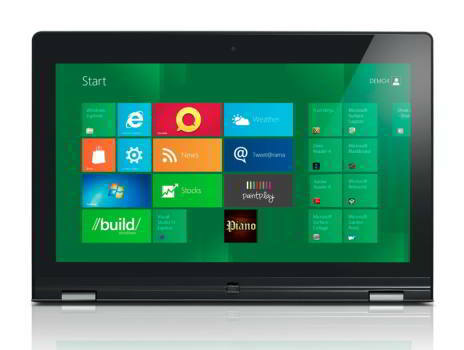 The IdeaPad YOGA multimode Windows 8 notebook will be available in the second half of 2012 with an estimated starting retail price of $1,199. 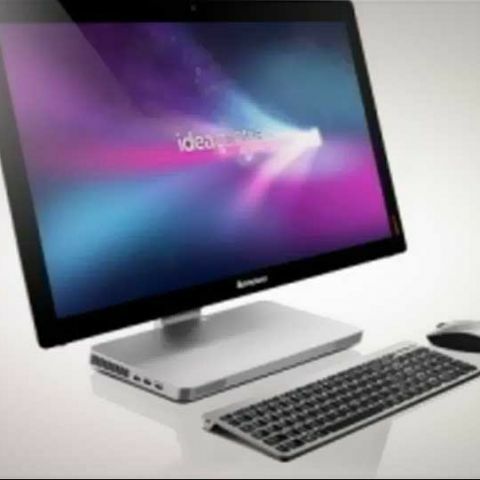 The IdeaCentre A720 all-in-one will be available in the first half of 2012 with an estimated starting retail price of $1,299.